Bandicam is the best Game Recording Software for gamers. It allows you to record 4K UHD Video and capture up to 144 FPS Video. 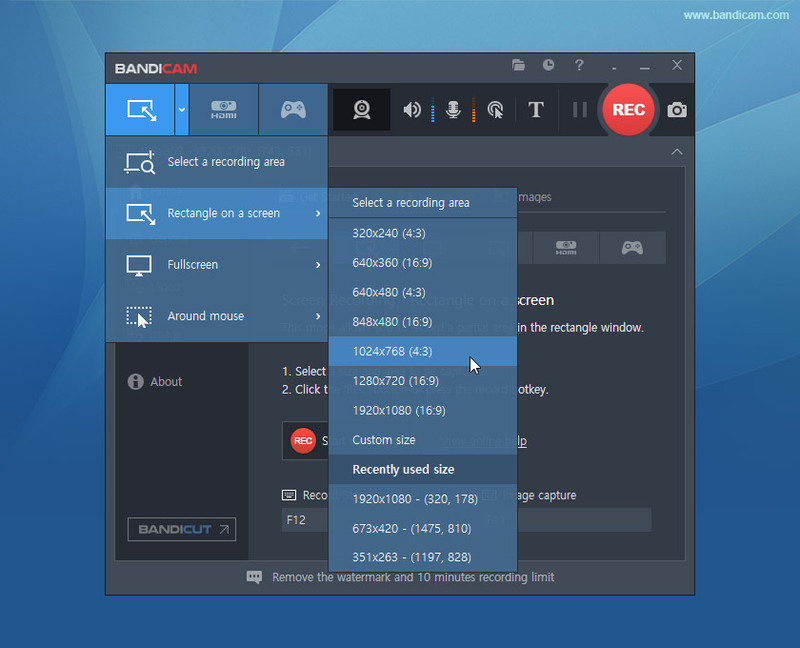 Try the free version of Bandicam, the best game recorder! 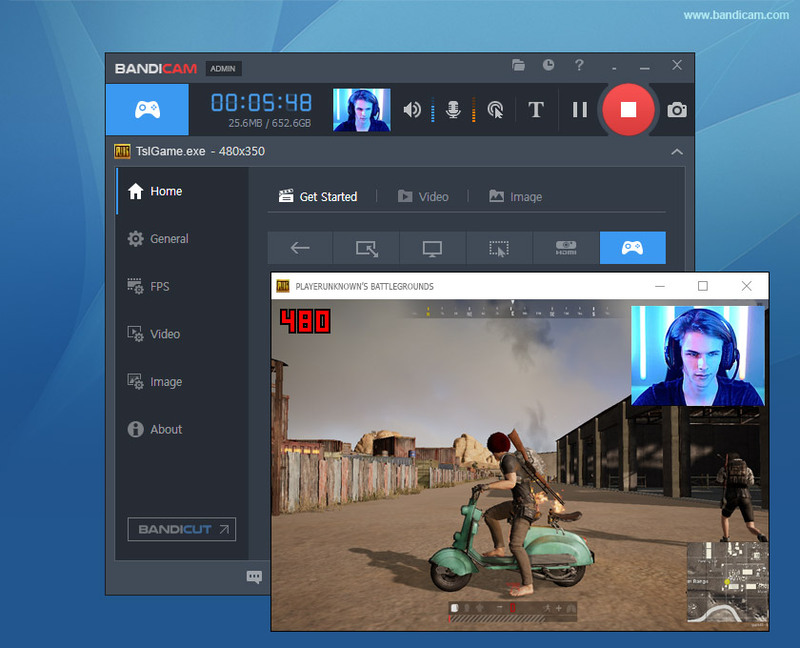 Bandicam Game Recorder makes it possible to record various 2D/3D games such as Minecraft, PlayerUnknown's Battlegrounds, Roblox, World of Warcraft, and League of Legends that use the DirectX/OpenGL/Vulkan graphics technologies. It also allows you to record flash games and browser based online games which are available on your PC. Bandicam is the perfect program for capturing and sharing online game video captures. 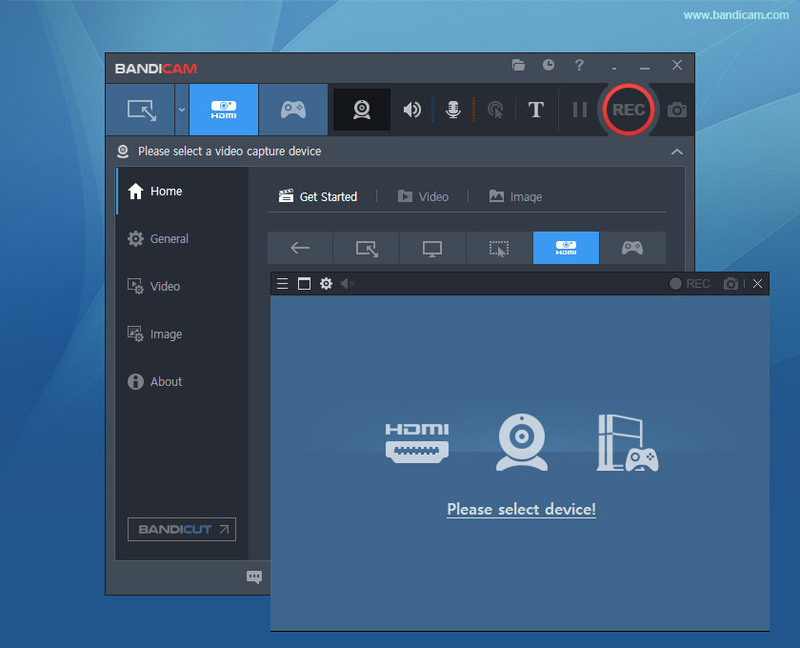 Bandicam compresses the video when recording. As a result, the recorded file size is much smaller than other capture software. You can record 4K Ultra HD video at resolutions up to 3840 x 2160 in size and HD video with max. 144fps. You will experience much less lag than with other game capture programs (It uses much lower CPU/GPU/HDD). 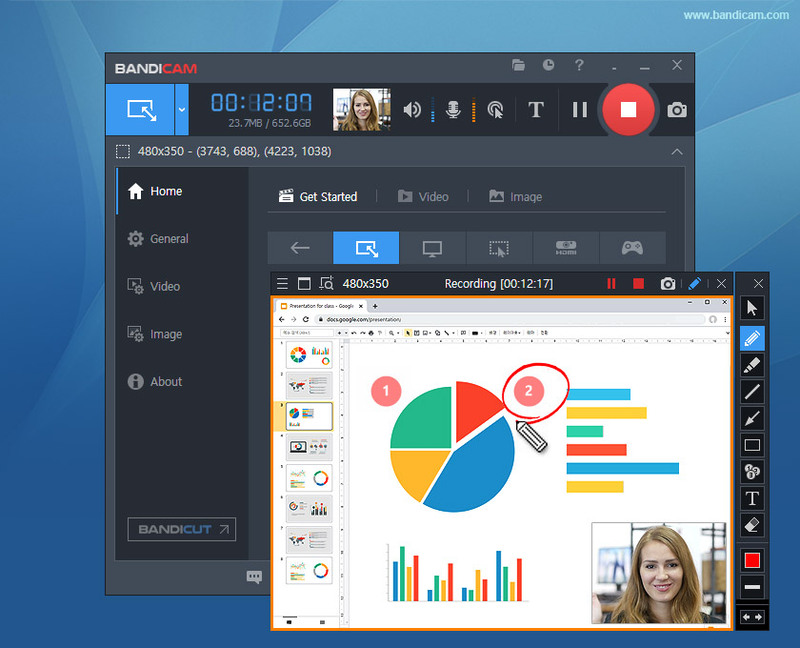 Bandicam optimizes recording performance by using a hardware-accelerated H.264 encoder. 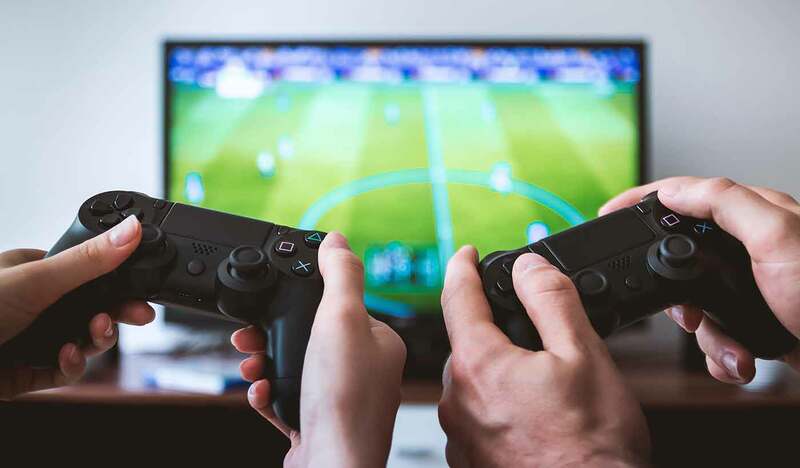 Gamers can capture the high-quality video games over 24 hours without stopping (Auto Complete Recording function can be used). 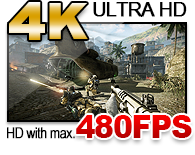 Gamers can see the FPS (Frames Per Second) numbers and control the FRAME RATE while recording. This 'Game Recording' mode can record the streaming videos that run on DirectX (Or OpenGL/Vulkan), such as various 2D/3D games, internet TV streaming videos, iTunes, Windows Media Player, HDTV capture cards. 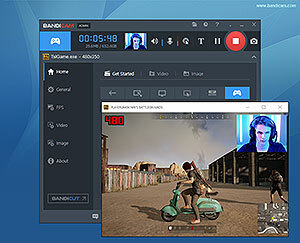 Bandicam is uniquely designed to meet gamers' needs. Game capturing requires a lot of system resources (CPU, GPU, memory and the like). Bandicam uses DirectX/OpenGL/Vulkan capturing technology to get high-quality recording files, and data-compression technology to make the files small. These technologies can minimize CPU, GPU and RAM usage while recording a real-time gameplay. As a result, gamers will experience much less lag than with other game capture software. 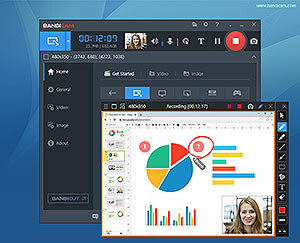 Bandicam game recorder optimizes recording performance by using a hardware-accelerated technology. This capture software fully supports the hardware accelerated h.264 encoder of Nvidia CUDA/NVENC, Intel Quick Sync video and AMD VCE which allow video to be recorded in high speed, with a high compression ratio and excellent quality. As a result, gamers are now able to get a high quality gameplay video and a reduced video file size. 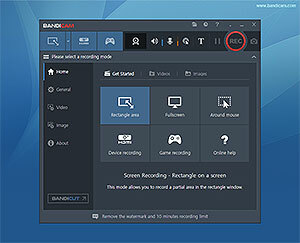 With Bandicam, gamers can record any sound on their computer with the multiple audio stream recording function. Bandicam provides the "Two Sound Mixing" option which allows gamers to record their game sound and microphone sound simultaneously. If you use Windows Vista, 7, or 8, you can use the advanced sound recording method which will allow you to record the original computer sound. Bandicam offers the best game recording experience.